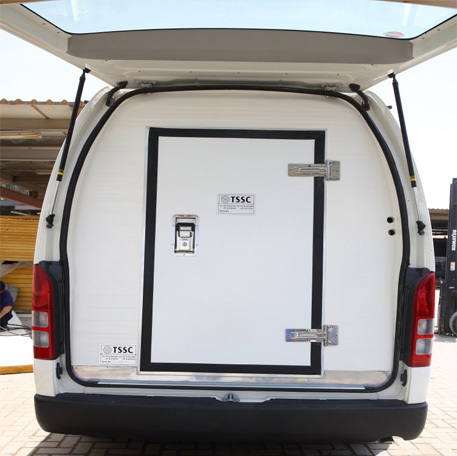 TSSC refrigerated boxes are extremely durable and combine high quality insulation with excellent thermal characteristics. 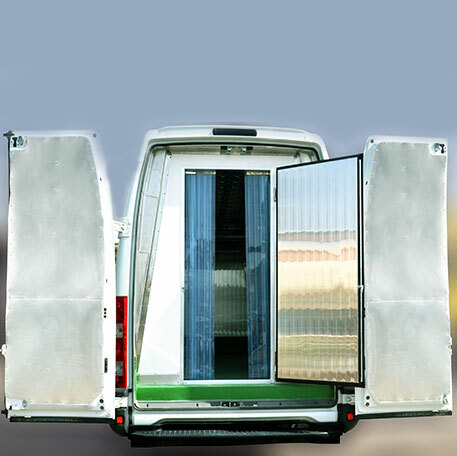 They are easy to clean and maintain, and provide the ideal temperature-controlled environment for your goods. Flooring options include aluminum checkered plate and polyurea coating. 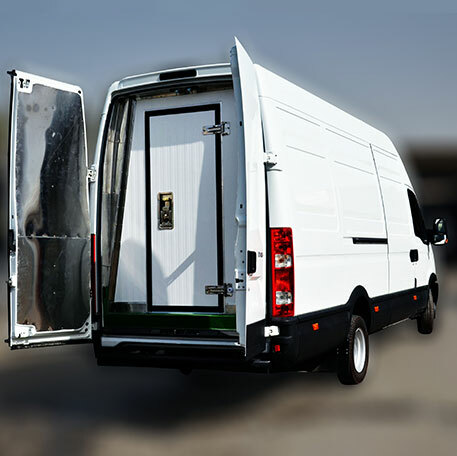 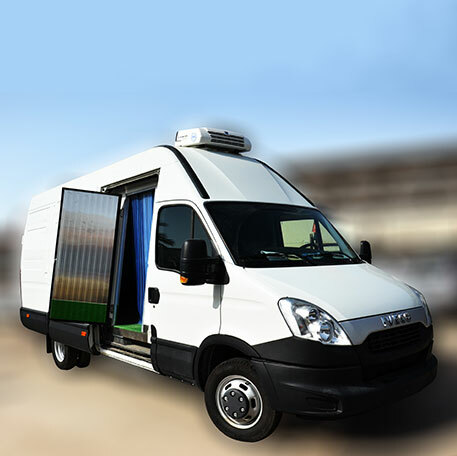 TSSC Refrigerated Vans are ideal for small businesses such as restaurants, supermarkets and general stores.